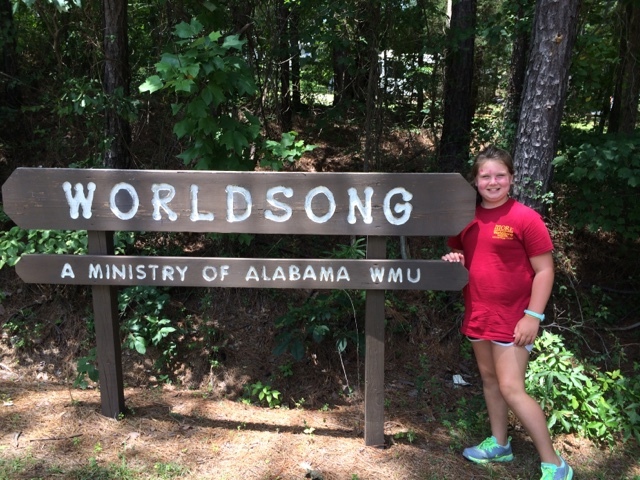 Monday, July 6th: Brylee heads to GA Camp for the week!!! 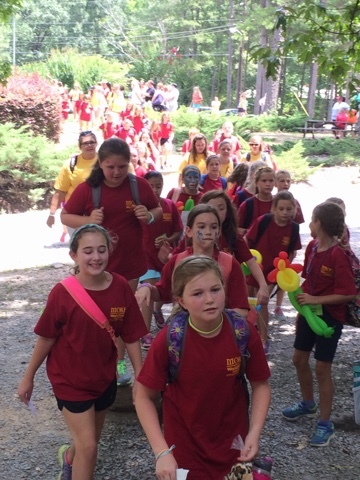 Today we dropped Brylee off at GA church camp! I got her all registered, unpacked, made her bed, and kissed her good bye for the week! She went with some of her friends from church! I had planned to work on my classroom a ton this week since both of the kids were off at "camp"! I knew I would be able to work without interruptions! 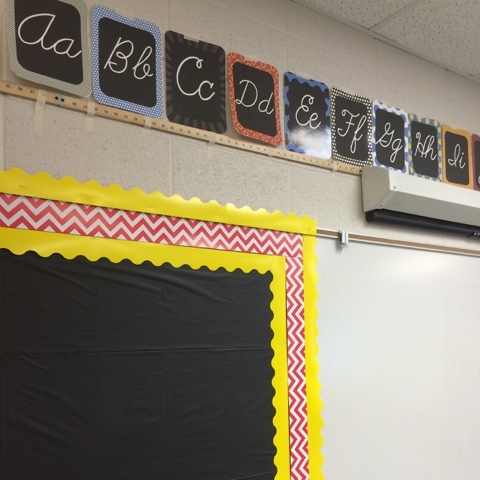 Today I hung up my alphabet! Let me just say this about sent this OCD lady into a tail spin... And the screen is not level above the board so that made it challenging too! Needless to say I got them up... It only took me 2 hours! Wednesday, July 8th: A Picture is worth 1,000 words! 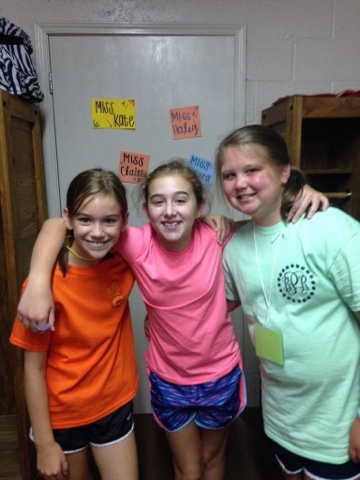 The camp Brylee was at had a Facebook page and they would load pictures from the week each night! I would look at the pictures each night and get so excited when I would see a picture of Brylee! This is just the mid week pick me up I needed! I think the hardest part is not being able to talk to them so seeing pictures of what they are doing makes it better! Thursday, July 9th: Girls Day! I met Katy today at the Ross Bridge Pool and we enjoyed some much needed girl time! 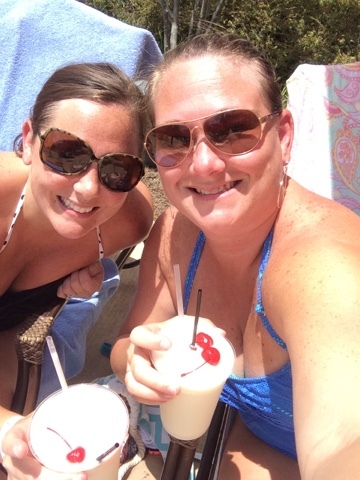 We hang out by the pool, enjoyed an adult beverage, lunch and uninterrupted conversation! Friday, July 10th: I survived... Time to get my sissy girlfriend from Camp!!!! 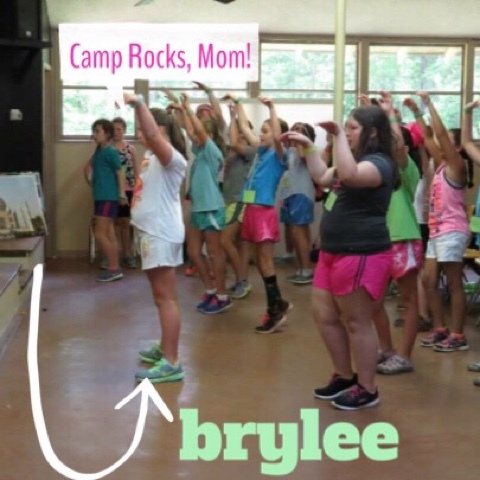 I was so excited to get to camp and see Brylee and hear all about the fun she had that week! This was the first time I saw her and clearly you can tell she is not interested in me! LOL! They were all coming into the worship center to share songs they learned this week! After the closing ceremony we got to go get the stuff and pick them up!!! She had a great week at camp and I was so proud of her for being brave and staying all week! One of the first things she said to me when we got to the car was "mom I am so hot and so thirsty... I want a big ole cup of sweet tea"! Well, I had her a big ole cup of sprite and promised her some tea! She was so funny telling me that she "had to drink plain ole water all week with every meal"... Side note she is not a fan of plain water! 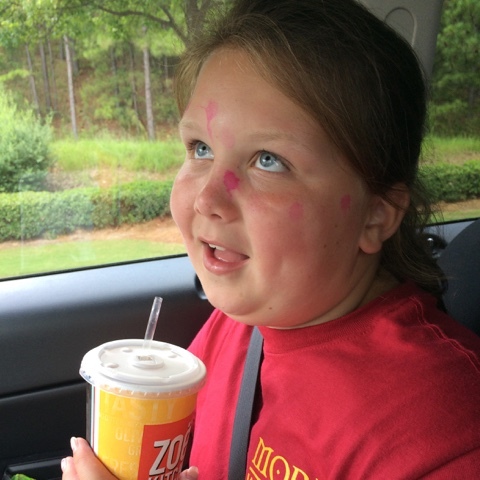 We ran to get some lunch and she got her a big ole cup of sweet tea... This is her "awe sweet tea I have missed you face"!!! 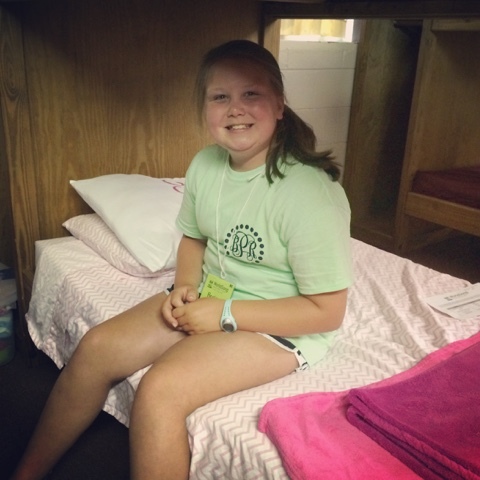 She had a great time at camp and had lots of fun stories to tell and did lots of fun activities! She even said she wanted to go back next year! So proud of you sissy! No your eyes are not doing tricks on you that is really me and GoGo on the tube! This is how that all went down: the kids dared GoGo to get on the tube and ride it and her response was right after your mom does it! 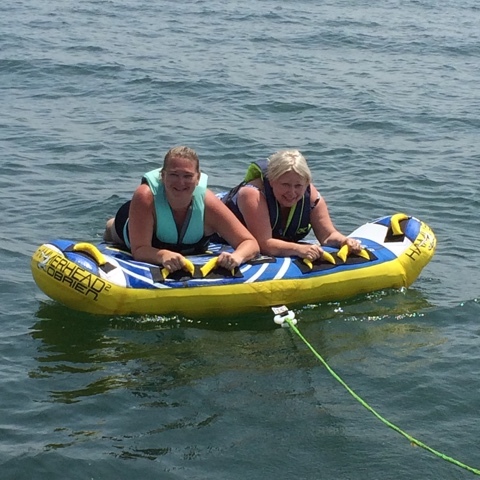 Well I took the challenge and we both got on the tube and rode!!! 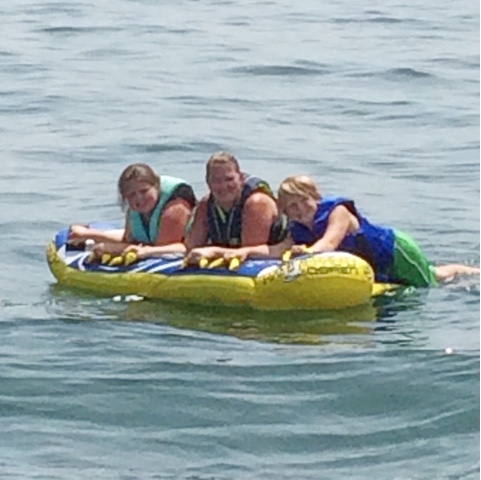 Then the kids begged me to ride with them and so I did! I even gave the go a head for G-Daddy to give it some gas and "yank us around a little"!!! Lordy have mercy... I should have known G-Daddy would find the biggest wave in the lake and we went way up on the air! It was fun but I am old! Ha! ;) But I remained the princess of the tube and did not fall off! ;) It was a fun once in a life time thing and I got some major cool mom points too! Brylee and I went to a baby shower & we ate dinner with GoGo and Grandaddy but for some reason I forgot to take a picture!!! Just pretend! Ha! Lol!